Civil society, big business and the Government are teaming up with 4,000 Rotary members between 2 and 4 April to promote family healthy living and disease prevention by implementing a massive annual campaign – Rotary Family Health Days – to provide comprehensive, free health care services to tens of thousands of people in underprivileged communities. 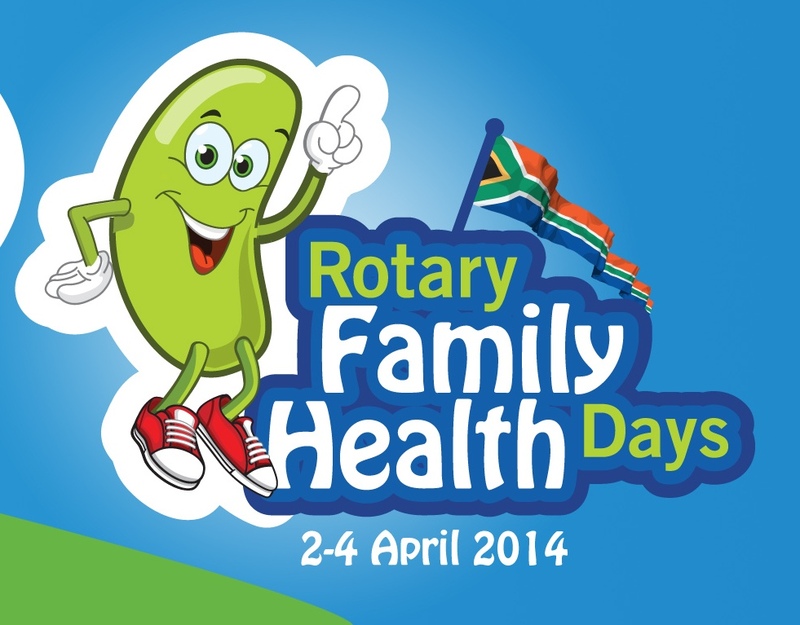 The Rotary Family Health Days are a comprehensive, holistic offering of free healthcare for parents, children, grandparents, friends and all family members in over 145 sites across South Africa. Approximately 4,000 Rotarians from 225 Rotary clubs will be volunteering between 9:00 – 16:00 daily and working the sites to assist the medical staff and deliver the services to South Africans. Services over the three days include HIV counseling and testing, screening for TB, diabetes and blood pressure, measles vaccinations, deworming, dispensing Vitamin A supplements, and more! This programme is Rotary-led by the global Rotarian Action Group, Rotarians for Family Health & AIDS Prevention (RFHA). This group is the mobilizing partner of Rotary International in the area of disease prevention programs. RFHA has received an unprecedented commitment from the South African Department of Health (NDoH), The Coca-Cola Africa Foundation, the US Government Agencies – CDC (US Centres for Disease Control and Prevention) and USAID, and the SABC and Caxton as primary media partners.